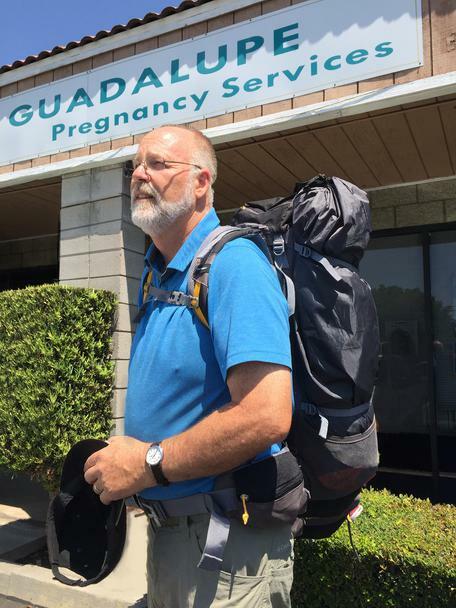 On September 15th GPS’s long-time supporter and friend, Mr. Ken Keller, embarked on a 54-day special project called Mission Walk for Life. 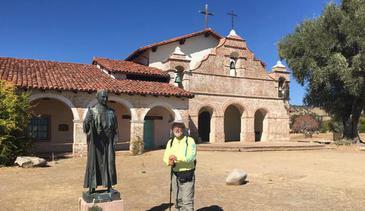 Starting south at Mission San Diego, he walked California's Camino Real for 798.7 miles, visiting each mission until he reached San Francisco Solano. 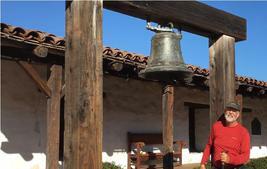 Who are the California Mission Walkers? 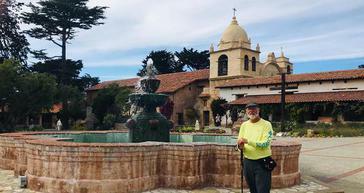 The California Mission Walkers group was formed in 2013 to bring together people who shared a common goal of walking the 800+ miles along California’s El Camino Real between all twenty-one historic Spanish missions. Walkers have multiple reasons for undertaking this pilgrimage. How was the route created? 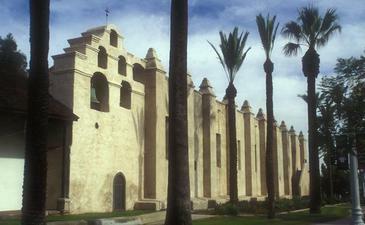 Ancient footpaths became connecting routes between the Spanish missions, pueblos, and presidios in the period 1769 to 1823. 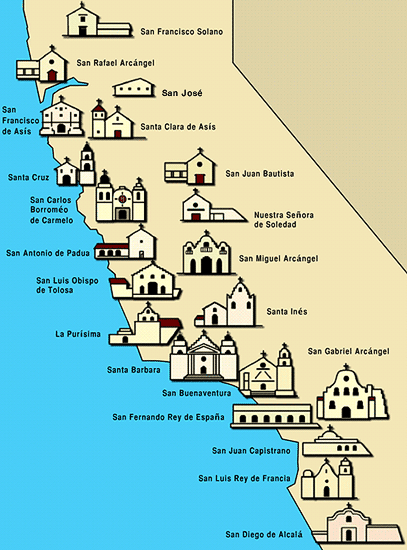 Over time these routes became automobile roadways and were marked with bells starting in 1906 to promote and preserve the El Camino Real. 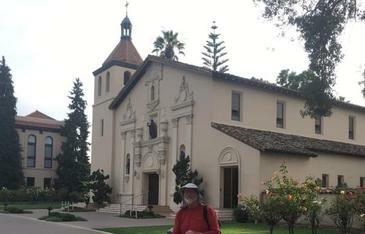 Today, the California Mission Walk follows a pedestrian route through urban cities and historic towns, through forest paths and country lanes, to each of the twenty-one historic Spanish missions. Why did you become a Mission Walker, and what is your goal? "When I was 19-21, I walked 250 miles with the Santa Barbara organization “Los Ninos” to the US/Mexican border to raise money for children living in the most pathetic environment. It was called the “Tortilla Marathon.” I still retain friendship with a few of the people I walked with 40+ years ago, and memories of that experience are very alive in me. Now (fast forward) modeling from that experience and knowing how to walk, why not build from that experience in a way that promotes Life! What developed from that was a “Mission Walk for Life” and sponsorship per mile to promote that cause. Undertaking a task of this magnitude in its entirety must be approached with planning and encouragement. 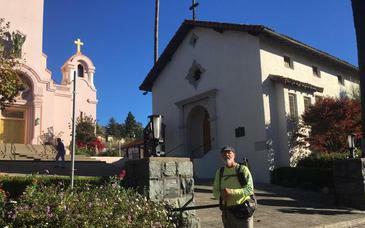 The California Mission Walker organization looks at the many segments that connect the missions and offers advice on pathways and places for lodging. Some of the Mission Walkers offer hospitality as well. Many of those members have also done The Camino de Santiago in Spain or have engaged in similar walks and have valuable advice to offer. Along the way those members may join me in segments as they are also attempting to complete the connecting of all 21 missions. The personal experience that comes after having walked with someone for many hours creates irreplaceable bonds of friendship." Why did you choose GPS as the beneficiary of your pilgrimage? "I began with a list of ten worthy organizations that are in need of financial support. I chose GPS because it’s a small upstart Life-promoting service that is close to my home. Their staff are all volunteers, so their operating budget is not connected to a great corporate CEO that would drain from the financial support of its contributors. I am strongly pro-life, and I want to use my passion for Mission Walking to help GPS fulfill their mission to their clients." To follow Ken on his journey, click HERE to join his special Facebook group, "Mission Walk for Life."